This dog breed also comes in a white version. German shepherds, known as Alsatians in Europe, are among the most identifiable dogs in the world. Even people who don't know much about canines recognize these black and brown dogs. However, there's also a white version of the breed, a color not recognized for showing by the American Kennel Club. Besides color, there is no difference between the white and standard German shepherd, or Alsatian. White German shepherds whose parents were both registered with either the American or Canadian Kennel Clubs can also be registered, but their color is considered a "disqualifying fault" by the AKC and "less desirable" by the CKC. That means they can't show in AKC conformation classes and aren't encouraged in CKC breed classes. However, they are eligible to compete in any AKC or CKC performance events. According to the White German Shepherd Dog Club of America, white was one of the breed's original colors. It states that the breed's founder, Captain Max Von Stephanitz, had several white shepherds and considered the color an important element in the breed. During the late 19th century, Von Stephanitz observed the working shepherd dogs of Germany, who had shepherding in common but varied in size, type and color. His goal was to create a smart, sound dog who could serve as shepherd and companion. Von Stephanitz began breeding the best shepherd dogs he could find to achieve his dream. Among the first was the white-coated Grief. 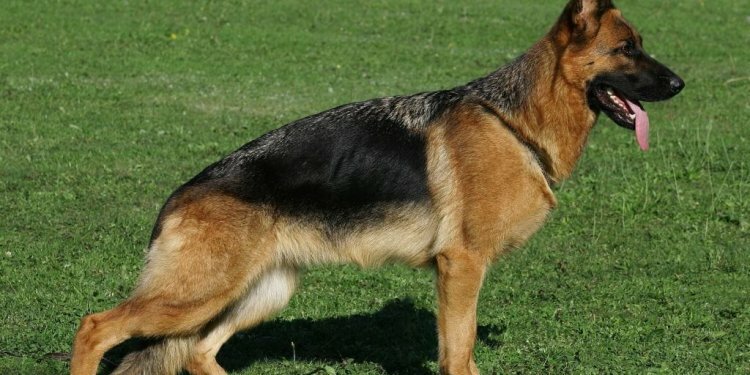 According to the WGSDCA, Grief was related to Horand, the first entry in the Verein fur Deutsche Shaferhund stud book in 1899, when the official breed was formed. "Horand carried the white gene and sired many white pups and many colored pups with the white recessive gene, " according to the WGSDCA. The Alsatian rapidly became a popular working dog. The first Germans shepherds arrived in the United States in 1912, and in 1917 the AKC registered white German shepherds. Rin Tin Tin became an international movie star. However, by the 1930s Nazism arrived in Germany. The Nazis' bizarre racial theories extended to dogs, with white Alsatians seen as inferior. They were banned from the German show ring.